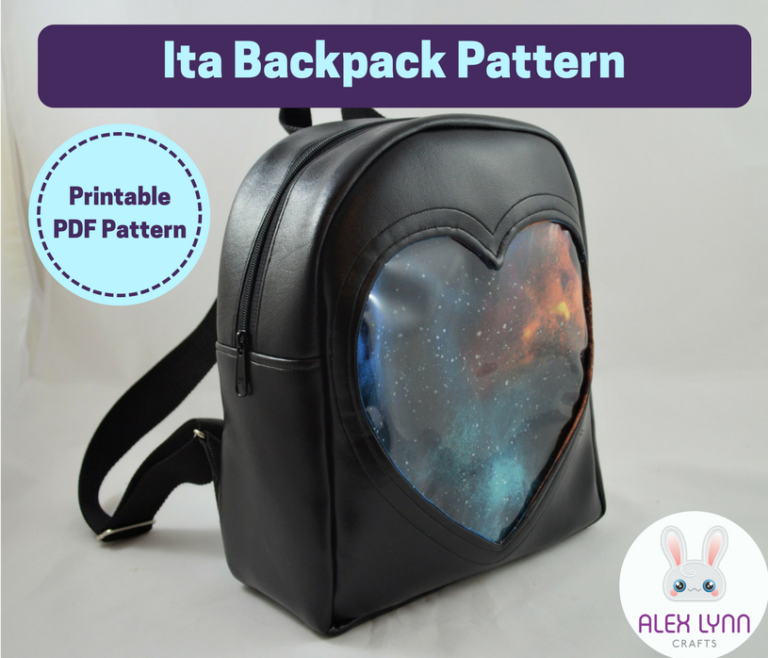 My newest pattern is the The Ita Backpack! Make your own adorable backpack-style ita bag. Includes pattern pieces and full photo-illustrated tutorial. 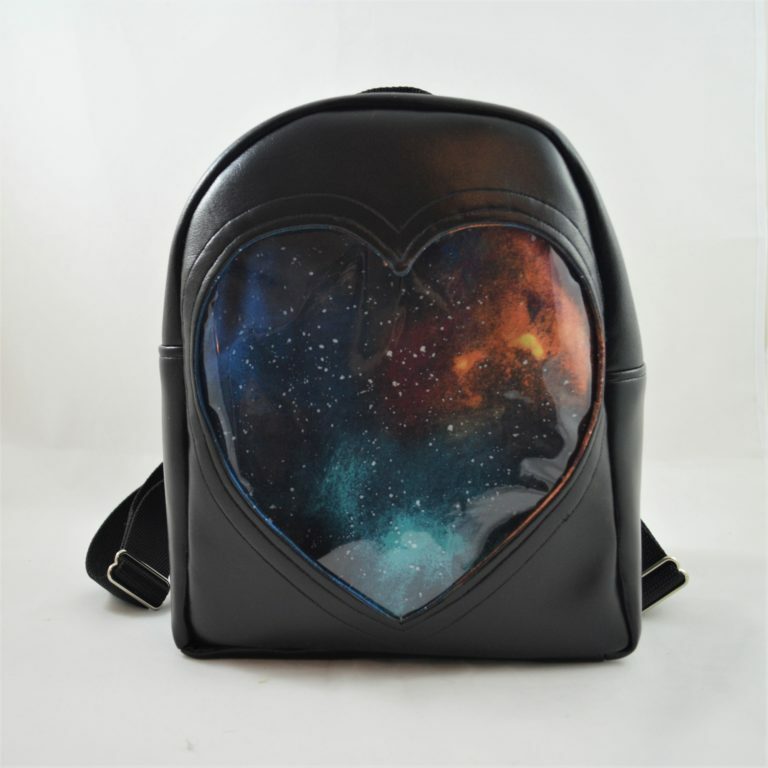 The backpack in the photos is made from black marine vinyl, with 1.5″ wide straps, and galaxy quilting cotton lining. Vinyl is wonderful to work with, but it can be difficult to sew through all the layers and sew around the curve of the gusset. If you’re new to sewing, I recommend starting with using quilting cotton for both the interior and exterior. 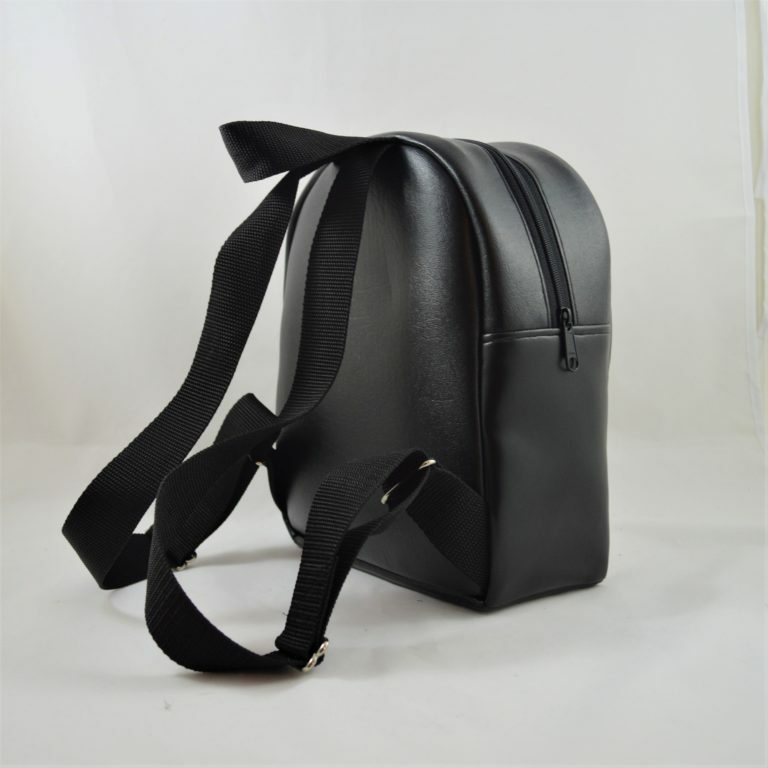 Your bag won’t be as sturdy, but it will be easier to sew. Once you understand all the steps, make another out of your favorite canvas, home decor fabric, or vinyl! You can also use any simple shape for the window, if you don’t want to use the provided heart. A circle, star, square, or triangle will all work perfectly with the exact same instructions. All you need to do is find a template online and print it out at the right size — about 7″ across. Or draw it yourself! I worked very hard for a long time on this pattern, and I’m really proud of it. I hope you find it useful! As always, feel free to contact me with any questions you might have. Hi, I am currently in progress of the ITA backpack and I am really stuck on the ITA pocket on page 4. I have the two zipper panels attached to the zipper, RST. I’m not visualizing how to add the interior zipper panel top and still be able to open the zipper when I’m done. I can’t really tell in the tutorial pictures which is RS and which is WS. Hi Michelle, it will be easier for me to help you through email. I will contact you shortly. I’m sorry you’re having trouble, and I hope we can work it out!